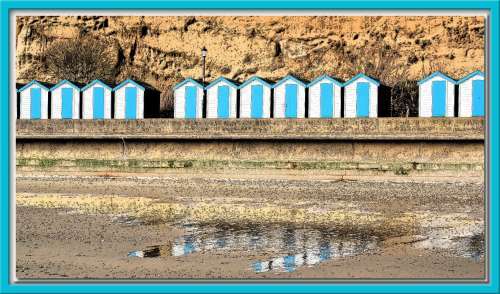 A line of blue and white beach huts at Dunroamin Beach, Shanklin, Isle of Wight. Used by locals and holiday makers for changing, storage and making cups of tea etc. Certainly saves having to carry beach stuff back and forth each time.